Bethany & Alana host another stoked filled annual Keiki Classic on Kauai. 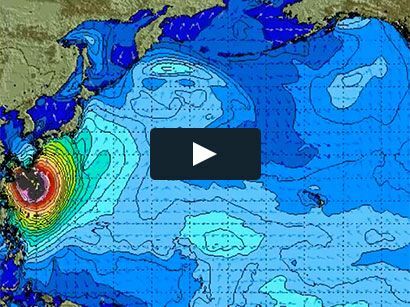 Surf News Network, 4 November, 2014 The Bethany and Alana Keiki Classic took place Saturday, October 25 at their home break of Pine Trees, Hanalei, Kauai. The surf competition brought out the local community for a full day of surfing, beach games and the opportunity to interact with Bethany and Alana – everyone walked away with smiles on their face. It was a beautiful day at Pine Tree’s with light winds and 2 foot swell, perfect conditions for all ages and for the kids to have fun in the water. The contest was formatted differently this year with looser judging, each contestant surfed in 2 heats and they were ranked on the best wave to advance to the finals. 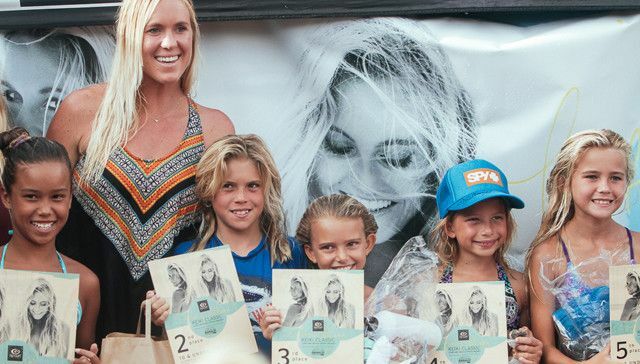 The goal of the surf contest was to create a relaxed, fun environment for the kids to practice their skills and compete against their friends and peers. Bethany’s husband Adam ran beach games for the kids in-between heats; both Bethany and Alana couldn’t resist playing along with all of the kids. “We had a lot of fun games and the kids are all into it, its fun just seeing the community and families’ coming together and hanging out, its not a serious contest, but just having fun” says Hamilton. Bethany received some great submissions for her essay contest, competitors were asked to submit an essay describing who the most influential person is to them and what they have learned. The entries were so great Bethany had a hard time choosing just two winners so three girls were awarded for their great essays! Alana also awarded four groms with her very own surfboards and GoPros, these kids emulated great sportsmanship throughout the day. Lastly, Rip Curl also ran a photo of the day contest via Instagram, and the winner of the day was also awarded with a GoPro! Check out all the Instagram posts from the event through #KeikiClassic. A special thank you to Hanalei Surf, Bethany and Alana for helping put on such a great community event! Also, thank you to all of the companies who contributed prizing to stoke all the kids out – FlexFit, SPY, Cobian, Reef, GoPro, Future Fins, and Ormco.